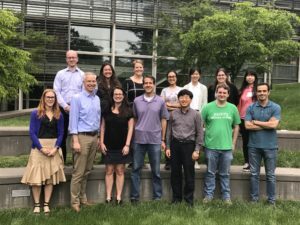 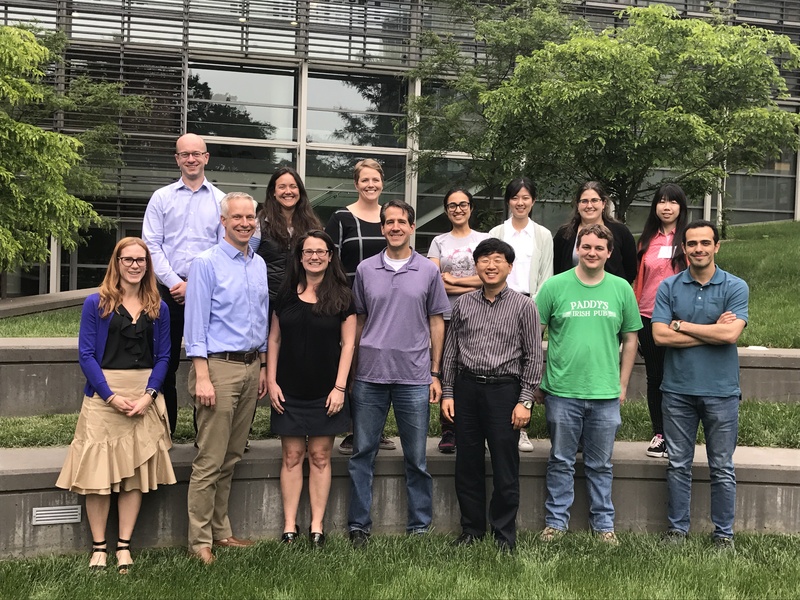 ONR research members at the APS meeting. 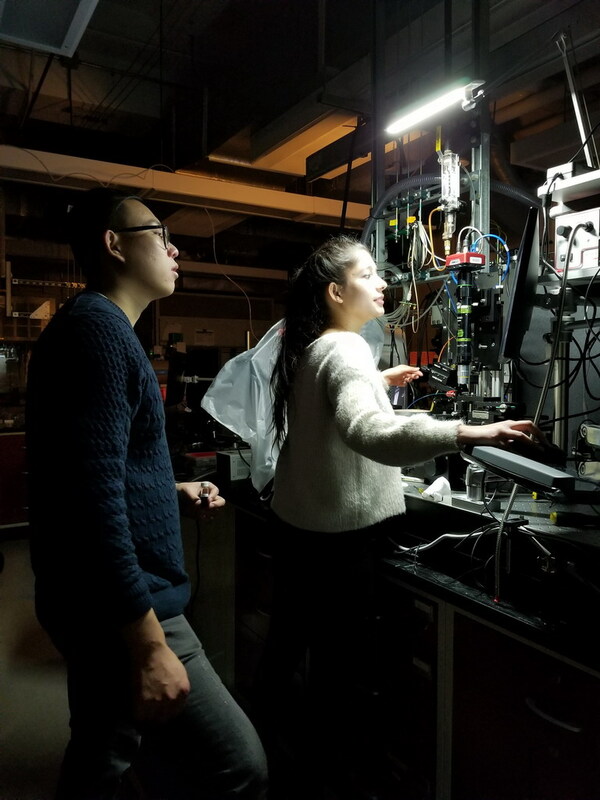 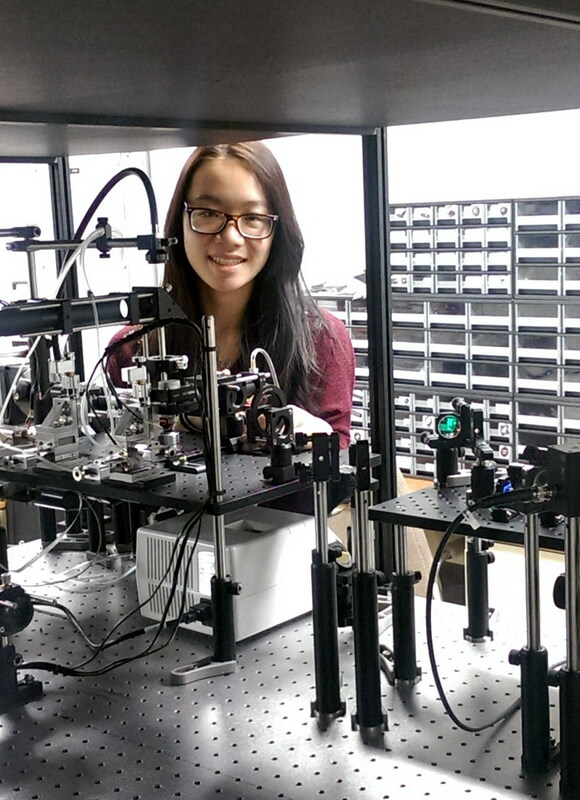 Sacchita and Qian are operating a new ultrafast stroboscopic microscopy system. 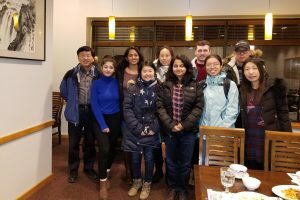 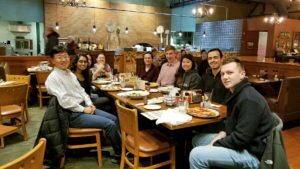 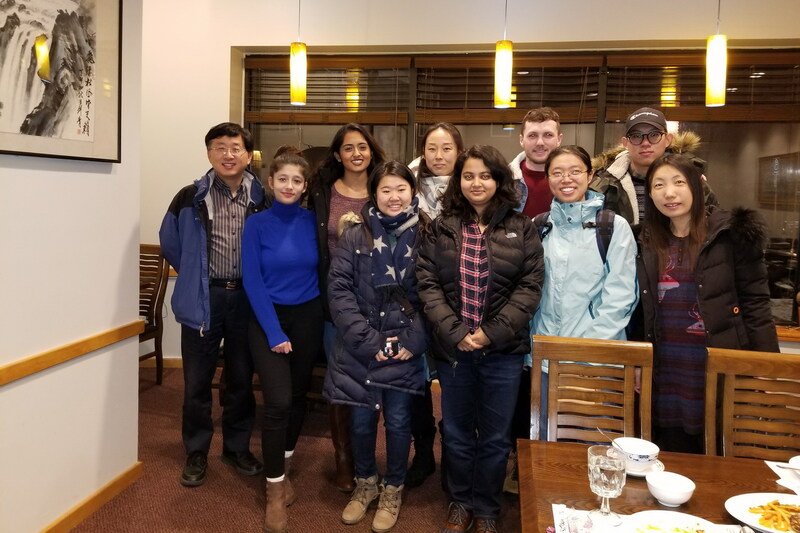 Semester-end group dinner at Formosa Chinese restaurant in Amherst. The kickoff group meeting of the 2018 fall semester. 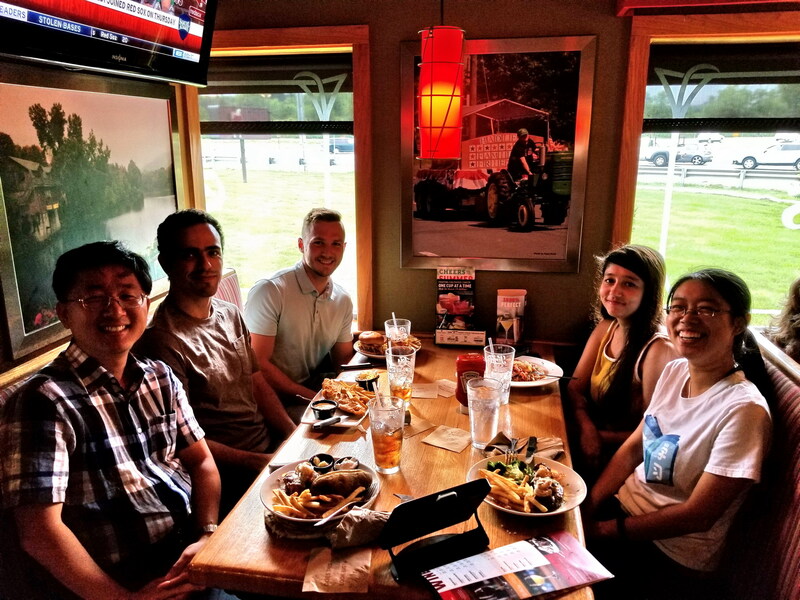 Farewell dinner for Amir at Applebee's in Hadley. The Office of Naval Research BRC "CAVITATE" meeting. 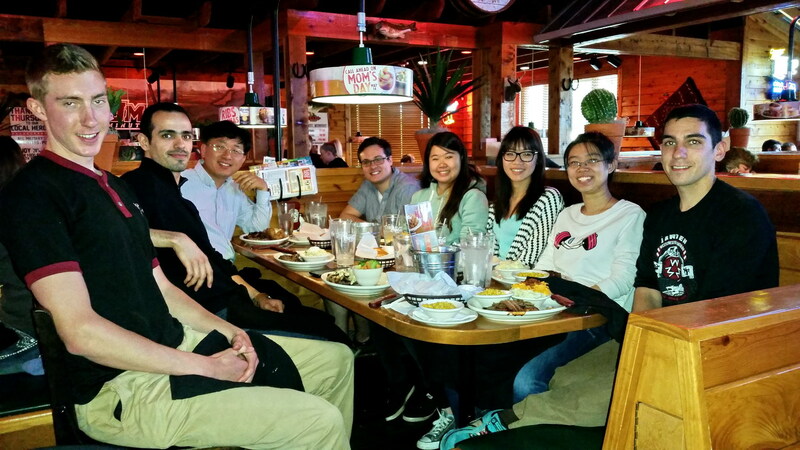 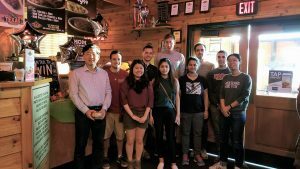 Semester-end group dinner at Texas Roadhouse in Hadley. 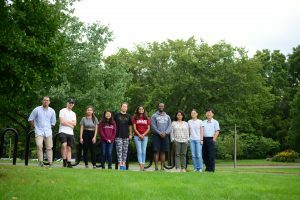 The kickoff group meeting of the 2017 fall semester. 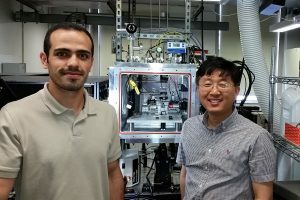 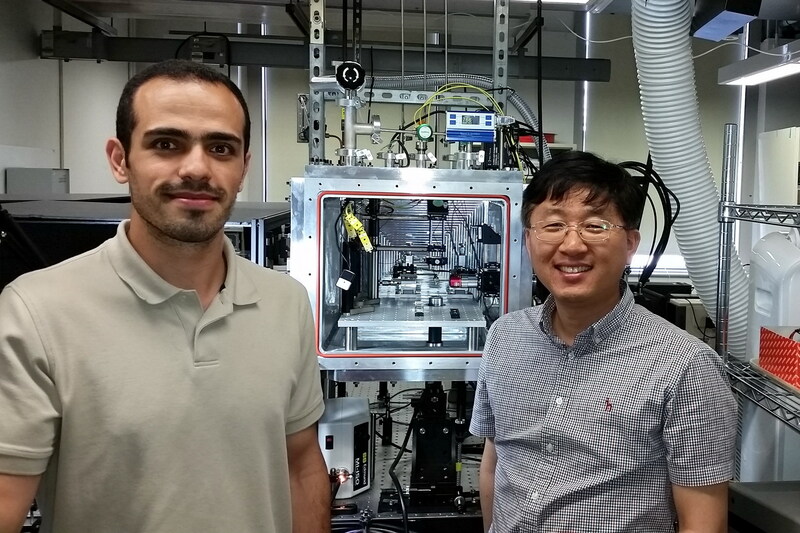 Amir and Prof. Lee are in front of the micro-ballistic system. 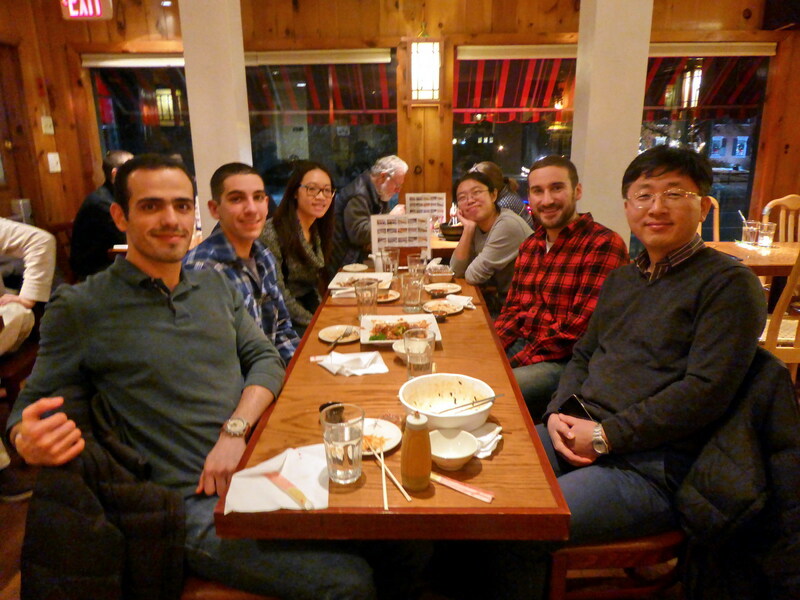 Semester-end group meeting and dinner at House of Teriyaki in Amherst. 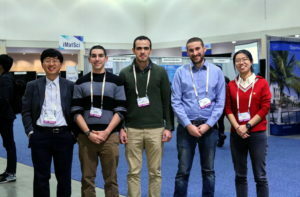 Group members in the 2016 MRS Conference in Boston. The kickoff group meeting of the 2016 fall semester. 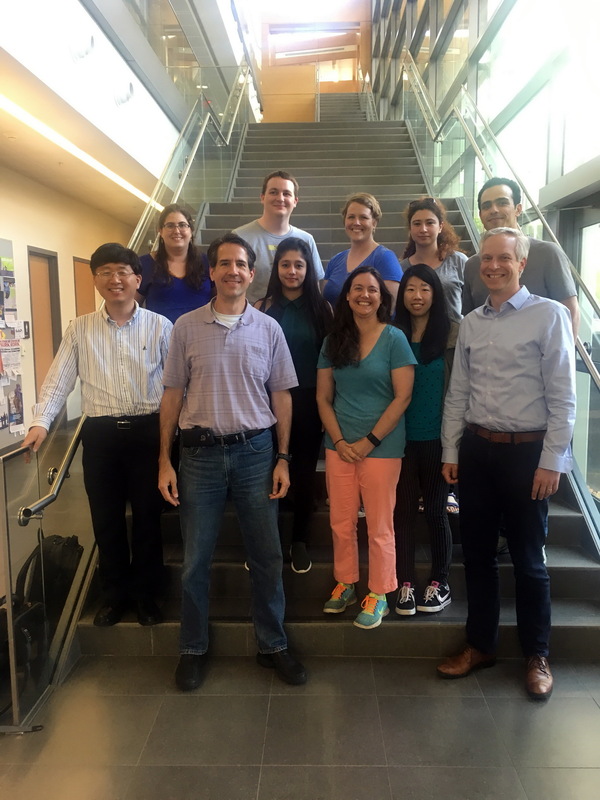 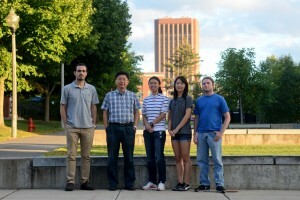 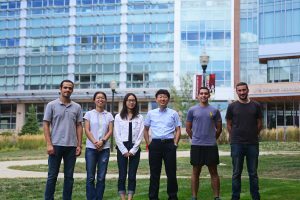 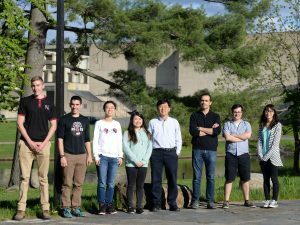 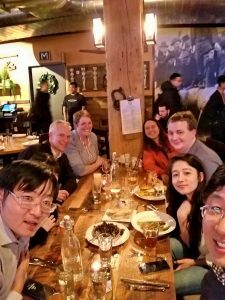 Prof. Ned Thomas visited UMass Amherst. 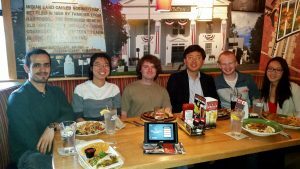 Farewell dinner for Robert at Applebee's in Hadley. 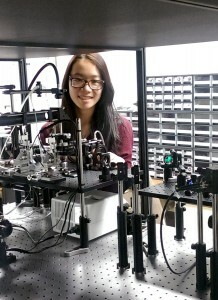 Lauren is working with the micro-ballistic system. 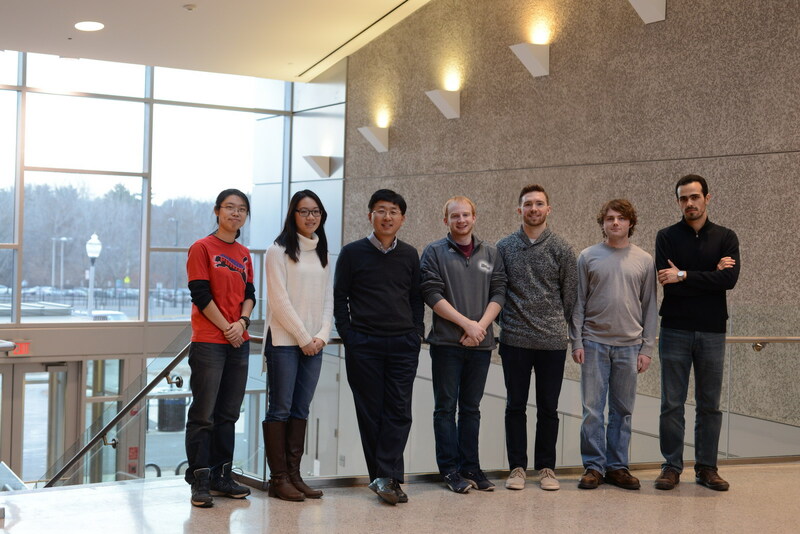 The kickoff group meeting of the 2016 spring semester. 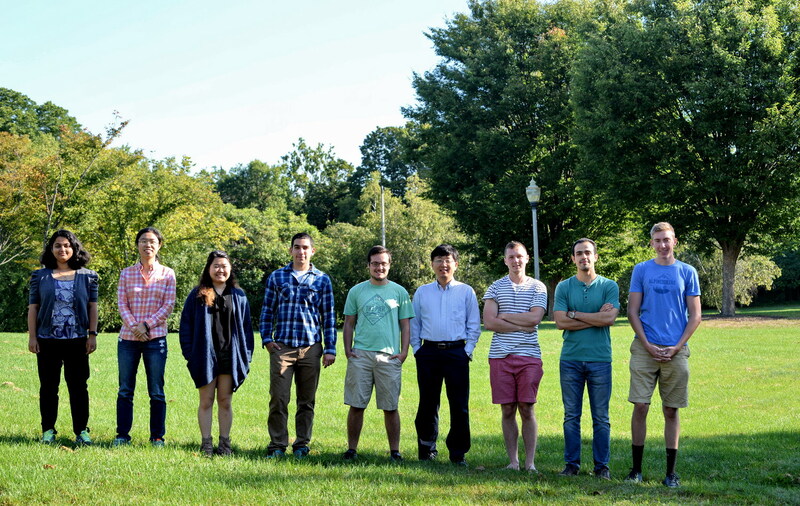 The kickoff group meeting of the 2015 fall semester. 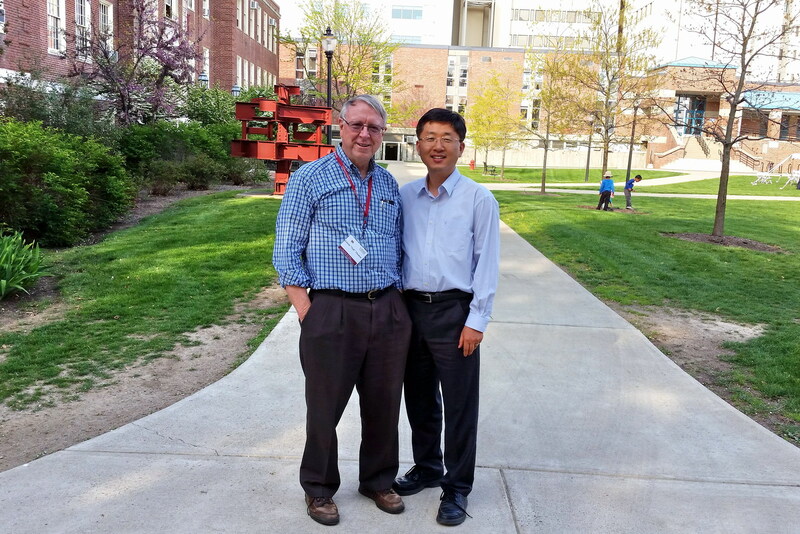 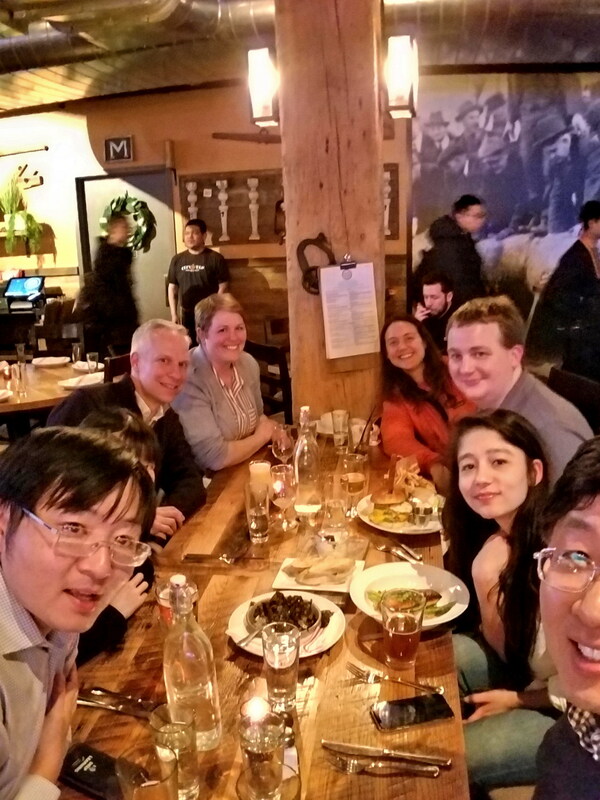 Prof. Lee and Wanting Xie visited the Institute of Soldier Nanotechnologies at MIT for argon ion polishing. 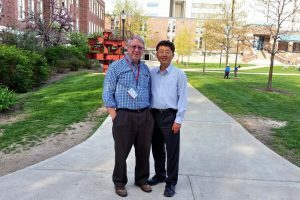 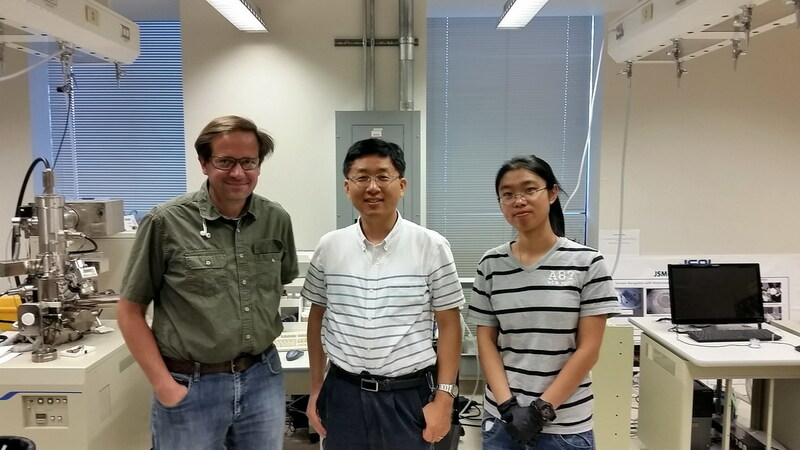 Dr. Steve Kooi (ISN research engineer), Prof. Jae-Hwang Lee, and Wanting Xie from the left.